This great offer includes access to the Hotel’s Executive Lounge. Executive Lounge access includes complimentary continental breakfast, evening hors d’oeuvres and Honor Bar access. Hilton Barbados Resort features a sprawling pool complex with hot tub, a fitness center, treatment rooms overlooking the pristine waters of the Caribbean and three premium tennis courts. The Kidz Paradise Club will entertain your children with a myriad of fun-filled activities while you slip away for some alone time. Dine in style at one of our restaurants and bars, which include casual dining options, gourmet fine-dining menus, plus a lobby bar and beach bar. The lobby level also offers ATM, a beauty salon, jewerly shoppe, designer clothing shop and sundries shop. The areas surrounding our resort offer a wide-range of things to do, as well. Adventurous water sports, world-class golf, horseback riding, sightseeing and a pulsating nightlife are just a few of the nearby options. 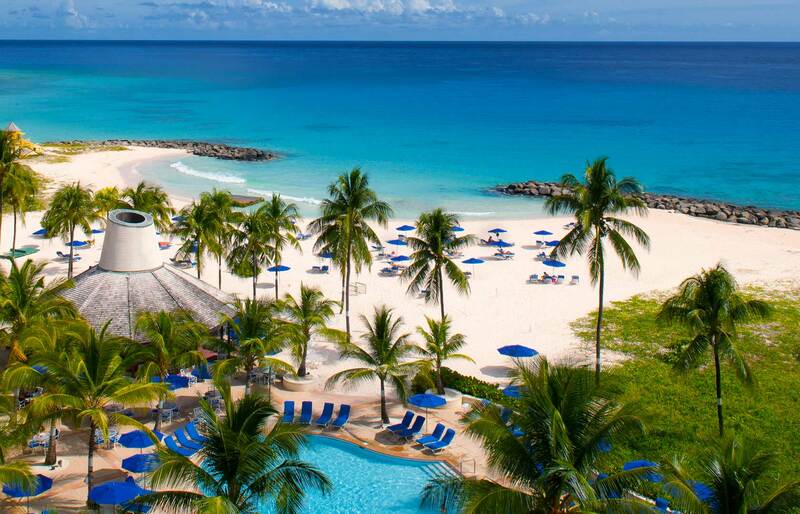 The Hilton, Barbados is located less than five minutes from Bridgetown, the Island’s capital. Stop in and buy some gifts at the local shops, or go for a walk through history by touring some of the local museums and historical sites. Just a ten-minute drive down the beach from the resort, St. Lawrence Gap is a great place to go mix things up for a night out on the town. Nestled in the parish of Christ Church is St. Lawrence Gap, a stretch of road that is known for its shopping, restaurants and nightlife. Each of the Hilton Barbados resort’s 4 restaurants and bars overlook the turquoise waters of the Caribbean and offer a unique atmosphere with an array of savory cuisine and boutique-brand drinks. Exquisite food and drinks are just another element that will make your stay with us unforgettable.